A woman repeated a bit of gossip about a neighbour. Within a few days the whole community knew the story. The person it concerned was deeply hurt and offended. Later, the woman responsible for spreading the rumour learned that it was completely untrue. She was very sorry and went to a wise old sage to find out what she could do to repair the damage. Go to the marketplace,” he said, “Purchase a bag of feathers”.Then on your way home, drop them one by one along the road.” Although surprised by this advice, the woman did what she was told. The woman followed the same road, but to her dismay the wind had blown all the feathers away. 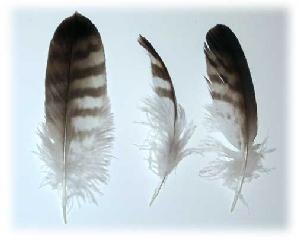 After searching for hours, she returned with only three feathers in her hand. “You see,” said the old sage, “It’s easy to drop them, but it is impossible to get them back. So it is with gossip. It doesn’t take much to spread a rumour, but once you do you can never completely undo the wrong. Gossiping is an addiction. if you get into this dirty habit, its hard to break out of it, its even harder if your Sangat (the people who you hang around with “chill” with) are also big gossipers, and love knocking people down. One whose heart is filled with malicious gossip, is known as a malicious gossip; everything he does is in vain. Which I have observed to be true (well every thing Maharaj Ji says isWe are always sooo happy to find out what’s happening to people, we get some sort of unknown joy and fun, we make it a habit to find out gossip and then it is our habit to spread it, far and wide!!!! Slander me, slander me – go ahead, people, and slander me. Slander is pleasing to the Lord’s humble servant. Bhagat Jee is happily inviting people to slander him, he doesn’t really care! In fact, he enjoys it. Before you speak, think first. Does this really contribute to what is being said? Is it truthful? Will it elevate the situation? Let us all strive to be better humans, and to live in our excellence as Sikhs of the Guru. Okay, now…. challenge yourself! See if you can go at least one week without talking behind someone’s back or spreading a lie. Check yourself. Listen to yourself.